Need space for the growing family? Then look no further than this amazing house and land package! Featuring Bellaâ€™s custom designed â€œBRIGHTONâ€ 228.92m2 home with 4 bed, 2 bath, 3 Living and 2 car, packaged with an 400m2 block within the continuous growth area of Yarrabilba ! Close to local schools and amenities. 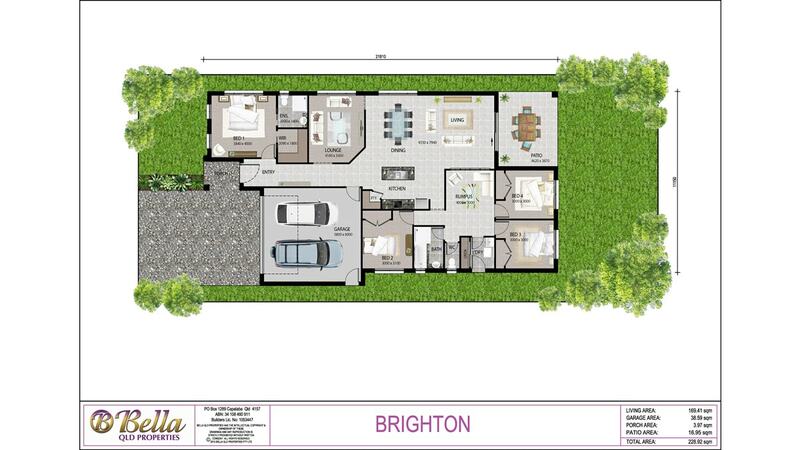 The Brighton design is a must see for families who would love to see the kids in their own private sanctuary part of the house. It comes with BELLAâ€™S FREEDOM inclusions for only $402,026. First home owners only pay $387,026 with the first home owners grant!. With our Freedom inclusions range package included you can start living in your beautiful home as soon as possible.